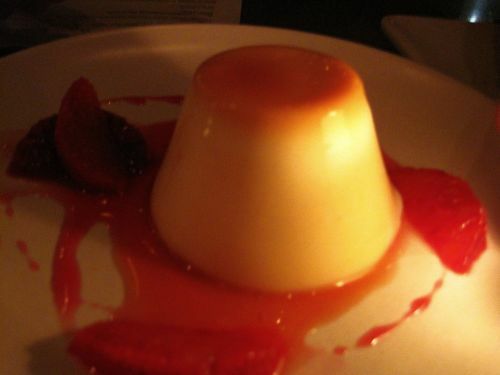 Although panna cotta has been making appearances on dessert menus in San Francisco for years, it seemed like in early 2010 there was an absolute explosion across the entire city. Not only did it seem like panna cotta was listed on just about every menu that I came in contact with, but suddenly dozens of different, interesting variations were popping up. Now in early 2011, everyone seems to have their own unique version to proudly display on their menu. While many variations are interesting, there are only a few that stand out from the panna cotta chaos and deserve special recognition. There's no denying that Delfina's Buttermilk Panna Cotta is a classic. A menu stand-by, it's always paired with seasonal fruits, creating a traditional preparation with a touch of California flavor. After 10 years of being included on the nightly-changing menu, it's never too crazy or surprising. But it doesn't need to be. It's simple, consistent, delicious, and a must-have no matter how many times you may have ordered it in the past. A newcomer on the block, this panna cotta isn't copying what's already out there. Instead, Cotogna serves up its own unique spin on the classic dish. 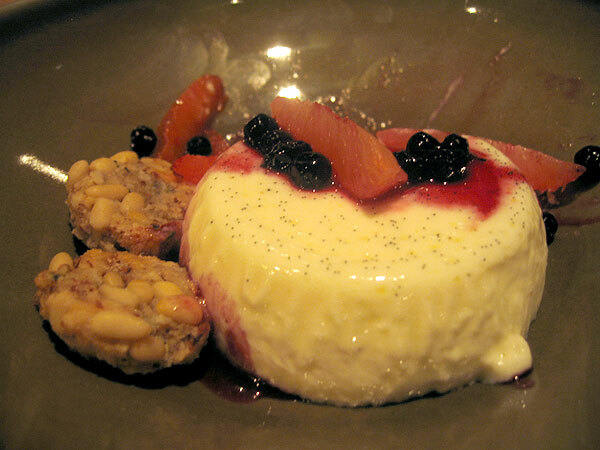 Their Crème Fraiche Panna Cotta, served with Homemade Pinoli (classic Italian cookies containing pine nuts), highlights the more savory aspects of Italian desserts (think ricotta cheese). It's luscious and rich, with a perfect consistency, but is somehow refreshing at the same time. The slight tartness inherent in crème fraiche ads a layer of flavor not commonly found in this dessert, and it's this unique taste that really makes it stand out from the panna cotta crowd. 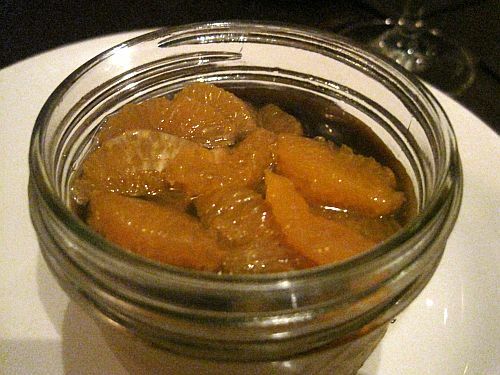 Frances takes a non-traditional route on their dessert menu, one which is clearly seasonally driven, by serving a Chicory Root Panna Cotta with Satsuma mandarin, espresso gelée, and chocolate sea salt cookies. While coffee flavors may be commonplace on dessert menus, the use of chicory root as a replacement for coffee and espresso is a rare find. This was the first time I had seen it used as a flavoring for panna cotta, and I applauded Chef Perello's use of such an atypical ingredient. On the first bite I realized that this particular flavor blew coffee and espresso out of the water. There was a certain fullness, a certain completeness, to the chicory root's taste that most coffee-flavored sweets simply don't have. It was paired with just enough mandarin to compliment the flavor without overpowering the dish - not necessarily the easiest thing to accomplish. Although this won't be on the menu when chicory root goes out of season, my taste buds are already excited by what may be up Chef Perello's sleeve in the future. The panna cotta at Coi, while on par with the perfect consistency and luscious flavors of the versions listed above, seems to take originality one step further by adding a sort of intellectual property to the many variations served throughout the year. This is achieved in a multitude of ways, but what stands out the most is the subtle but distinct inclusion of herbs and aromatic ingredients. The restrained use of fennel or mint is a perfect example. However, it was last spring's Buttermilk Panna Cotta with Cherry Blossom that has been the most noteworthy - a dish that has carved out a permanent place in my memory. Because I wrote about it as one of the top 10 dishes of 2010 (an article I strongly encourage you to read! ), I won't go into depth here. Instead, I'll reiterate my previous sentiment: the aromatic qualities of the cherry blossom twig, left on the plate purely to smell, transformed the flavor into something truly unique, creating a dish that really represents Daniel Patterson as a chef. It was the culinary incarnation of early spring, and for the past year I have been eagerly awaiting its reemergence on Coi's spring menu. I love panna cotta! thanks for sharing, love your blog.